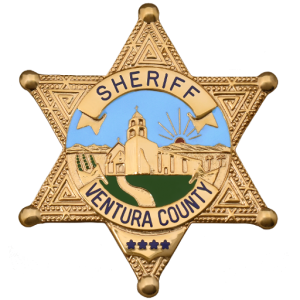 The Ventura County Sheriff’s Office provides law enforcement services to the City of Moorpark on a contract basis. The city is divided into two primary beats which are patrolled by deputies 24 hours a day, seven days a week. 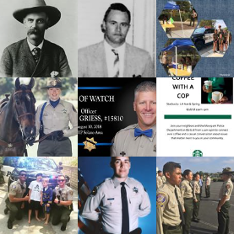 An additional overlapping patrol deputy is provided during peak hours (11 :00 A.M. to 3:00 A.M.) seven days a week. This deployment helps to ensure a rapid response to emergency situations by a deputy who is familiar with the area and people. In addition to routine patrol operations, we evaluate specific locations and time frames for crime trends. In an effort to reduce these problems, we assign patrol and detective staff to target those locations. To assist with this we often deploy two officers, two days a week, as a special enforcement team. As collateral assignments, we have four deputies who serve as gang officers and three others assigned to the bicycle patrol detail. 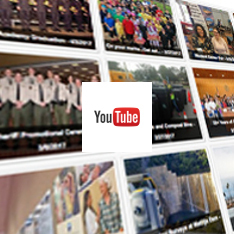 This gives us the versatility needed to effectively handle most problems. It also fits in with our “zero tolerance” approach to gang crime. 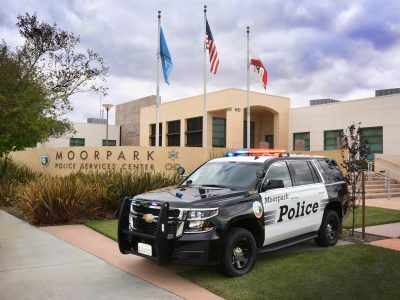 In addition to the city of Moorpark, the Moorpark Station also provides police services to the unincorporated areas of Santa Rosa Valley, Moorpark Home Acres, Happy Camp, Fruitvale, Santa Susanna Knolls, Box Canyon, Tapo Canyon, Balcom Canyon, Bradley, Stockton, and Grimes Canyon.